Your wedding is supposed to be one of the best and biggest days of your life! It’s where you and your partner declare your love for each other. 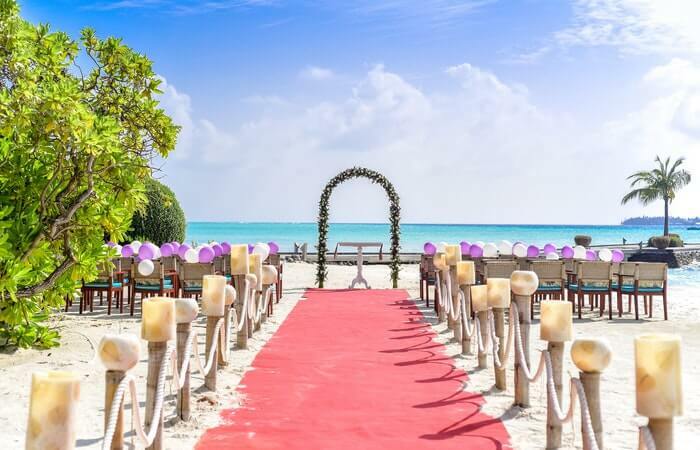 However, before you get to the vows, rings, and honeymoon, you have to plan it out first. You have to do taxing errands like visit churches, get licenses, and choose garments. But you also get to do fun stuff like visit wedding capitals such as Manila and look for the best catering services by tasting their magnificent food. Normally, people leave the hard work up to the experts. However, there are those that bravely take it upon themselves to plan the entire thing. There are pros and cons to doing this and they are listed below! On average, wedding planners in the Philippines charge between ₱20, 000 – ₱70, 000. Usually, those who charge around the twenty thousand range are on-the-day wedding planners while those who charge more are full-time wedding planners. It may not look it, but that’s a lot. That’s money you could have otherwise spent on a better honeymoon destination, better food, or better reception venues. You aren’t constantly adjusting your schedule to match anyone else’s, and you can hit pause or play with the wedding planning anytime you want. You won’t be pressured to do things quickly and you’ll be able to carefully plan your wedding at your own pace. Simply put, you manage your own time. You don’t have to limit yourself when you plan your own wedding. You can literally have the wedding of your dreams, no matter how wild it is. No one will tell you what to do and what not to do. You’re free to change your mind as frequently as you want without it being a big deal. Your wedding can be unique and crazy or tame and intimate. You have complete control over how your wedding will turn out. Since you’re doing every single thing, you will eventually get exhausted especially if you’re juggling a job and parenting. Trust and believe that it will get stressful. Wedding planners exist because not everyone has the time and patience to plan an entire wedding themselves. Not to mention that these experts are well acquainted with people in the industry. The connections they have may help you secure a venue or church much easier than if you did it yourself. In the wedding industry or any industry for that matter, connections mean everything. If you don’t have any, then it’s hard to get the best services. But as mentioned above, wedding planners have connections that they will use for your benefit. Wedding planners are prepared to do everything in their power to give their clients the absolute best and your wedding deserves nothing but. Hiring a wedding planner guarantees that your wedding is as you pictured it. We’ve laid out the pros and cons; the decision is now up to you. Are you prepared to shoulder all the responsibility of planning your own wedding or would you rather leave it to someone else? Are you willing to travel from place to place for the perfect church? Will you circle Manila for the best catering service? Will you be comfortable with the fact that you could have had the best of the best if you just hired an expert to help you? And that you need not exhaust yourself to achieve the wedding of your dreams? Hopefully, these things will help you come to a realization and you can have the wedding you want and deserve!